WASHINGTON — Sen. Ted Cruz asserts that Rep. Beto O’Rourke has “the most anti-Israel record of any Senate Democratic candidate.” To back up the claim, he points to one particular vote against funding for Iron Dome, a defense system that lets Israel knock down rockets raining down from Gaza and elsewhere. The allegation may surface in Tuesday night’s debate in San Antonio, devoted in part to foreign policy. But Cruz’s allegation is oversimplified. O’Rourke has voted to fund Iron Dome numerous times, but opposed funding one particular time. And the senator has voted four times himself against larger measures that provided funds for Iron Dome. In May, Iran fired 20 rockets into the Golan Heights that were intercepted by Iron Dome. Cruz pounced. 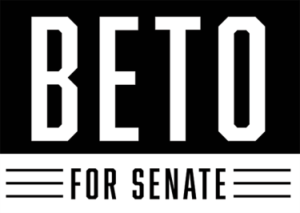 “Beto O’Rourke was only one of only eight Members of Congress to vote against crucial funding for Israel’s Iron Dome defense system, joining the ranks of Nation of Islam supporter Rep. Keith Ellison and liberal Rep. Zoe Lofgren,” the campaign said in a prepared statement. Cruz routinely repeats the allegation at campaign events. “Nancy Pelosi voted yes. Maxine Waters voted yes. Beto O’Rourke voted no,” he said at one recent appearance. He’s referring to a vote on Aug. 1, 2014, when the House approved $225 million to replenish Iron Dome funding on 395-8 vote, a week after the Senate gave its approval. Although O’Rourke opposed that batch of Iron Dome funding, he supported funding many other times. On June 20, 2014, he voted for the National Defense Appropriations Act that included $670 million for missile defense programs for Israel, including $351 million for Iron Dome. Six days earlier, he had supported an amendment to add $15 million to improve Iron Dome. The August 2014 vote was the first time O’Rourke did not support spending on Iron Dome. In May 2016, he voted against a budget bill that included Iron Dome funding. He was on the losing side of a 277-147 vote. In June 2013, the House voted 315-108 for a defense spending bill that included over $235 million for Iron Dome. O’Rourke supported that bill. But when the Senate took up the measure, Cruz voted against it. That bill sailed through the Senate on an 84-15 vote in December 2013, which Cruz voted against. In 2013, Cruz supported Sen. Rand Paul’s budget resolution, which would have slashed defense funding, including aid to Iron Dome. During the 2016 presidential campaign, Sen. Marco Rubio attacked Cruz over that stance. As Rubio noted in the Dec. 15, 2015, GOP presidential debate, Cruz voted against the National Defense Authorization Act three times. Each version included Iron Dome funding. Cruz’s explanation, at the time of those votes and in the heat of the presidential race, was that he was casting protest votes. “I told voters in Texas that I would oppose the federal government having the authority to detain U.S. citizens permanently with no due process,” Cruz said, and those bills left the policy in place. From 2014 to 2017, Cruz voted against the defense budgets four years in a row, earning him the ire of the late Sen. John McCain, who chaired the Senate Armed Services Committee. Cruz voted for the defense appropriations bills for fiscal years 2018 and 2019. FY2014: $235.309 million passed. The House voted 315-108; O’Rourke supported. Passed in the Senate 84-15; Cruz did not support it. FY2014 supplemental bill for $225 million: The House voted 395-8, O’Rourke did not support it. The Senate unanimously voted for the bill. FY2015: Of the $585 million in the Defense Appropriations bill, $351 million went to Israel’s Iron Dome. It passed in the House with a unanimous vote. It eventually passed in the Senate after changes with a vote of 89-11. Cruz voted against it. FY2016: $55 million, though the bill was vetoed by President Barack Obama. The House passed the appropriations with a vote of 269-151, with O’Rourke voting for it. The Senate passed it with a 71-25 vote; Cruz did not support it. A revised bill, S 1356, was signed by Obama on Nov. 25, 2015. The House passed it 370-58; O’Rourke voted for it. The Senate passed it with a vote of 91-3; Cruz did not cast a vote. FY2017: Congress passed the NDAA authorizing $600.7 million for missile defense and anti-tunneling efforts. O’Rourke voted against the spending, but it passed in the House, 277-147. The Senate had its own version of the appropriations and it passed 85-13. Cruz voted against it. FY2018: Congress authorized $705 million for Israel missile defense. Passed in the House 344-81, O’Rourke supported the spending. Passed in the Senate 89-8, marking the first time Cruz supported defense appropriations spending. FY2019: $500 million for co-development and co-production of Iron Dome and other Israeli defense programs. Passed in the House 351-66, O’Rourke supported. Passed in the Senate 85-10 with support from Cruz. 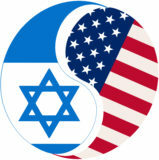 Israel is critically important to the United States. Because it is the home of the Jewish people, because it is an exemplary democracy that shares our values, and because it is a crucial contributor to our national security objectives in the region, the U.S. should do everything we can to support the state of Israel. Israel is second only to Silicon Valley for high-tech innovation, and many of the medical and technological advances on which our whole society depends have been developed there. For these reasons and more, I am a proud advocate for Israel. I support a two-state solution but one which the parties directly negotiate themselves. I also support continued U.S. engagement and leadership in that process. Any ultimate solution will have to recognize Israel’s right to exist as a Jewish democratic state, with secure and defensible borders, and will require a demilitarized Palestinian partner for peace. Hezbollah and Hamas have thousands of missiles aimed at Israel and continue to call for its destruction. Iran is establishing itself in Syria and Lebanon as a destabilizing force. Israel has the right and the obligation to defend itself against all of these threats. Palestinians and Israelis should be able to live in peace, with dignity. Key to that politically, is a two-state solution that allows for full sovereignty for the people of Israel and the future state of Palestine. However, this cannot happen without committed, responsible leadership on both sides. I am hopeful that a new generation of Palestinian leadership will be able to lead the Palestinian people toward a peaceful, negotiated resolution with Israel that results in two states. I carefully examine every bill that comes before me and while we may never agree on every vote I cast, I think it’s fair that on the issue of Israel, like any other issue, that I be evaluated based on the totality of my record. I support Israel’s qualitative military edge, and I have voted for and will continue to support foreign aid for Israel. I cosponsored and then voted for a resolution in the last Congress to encourage the Obama Administration to quickly finalize a robust and long-term Memorandum of Understanding (MOU) with Israel. The resulting agreement will last 10 years and provide Israel $3.8 billion per year. This Congress, I supported the Taylor Force Act, which prohibits certain foreign aid from being made available for the West Bank and Gaza unless the State Department certifies that the Palestinian Authority is taking steps to end acts of violence. In October, I cosponsored the Hezbollah International Financing Prevention Act, and I have voted in favor of the same bill each of the last three Congresses. I co- sponsored the Iran Ballistic Missiles and International Sanctions Enforcement Act. I oppose efforts, economically and diplomatically, to boycott or delegitimize Israel. I have traveled to Israel during my time in Congress, including communities on the border with Gaza where I met with Israeli families who have lived through the terror of attacks from Hamas militants. I have also met with Members of Knesset to reinforce the friendship between our two countries. These experiences have helped me to better understand the need for our close relationship. As long as I am an elected official, I will work to build on these votes and experiences and continue to be a strong advocate for Israel.